I don’t know what the weather’s like where you are; but, here in northern Utah, winter is in full swing! My 15-minute commute took me 45 minutes this Monday, the temperature isn’t predicted to get above freezing today, and the sun will set at 4:58 PM tonight (although that’s more like afternoon if you ask me). Based on the examples I chose to highlight, it’s pretty obvious that winter isn’t my favorite time of year; but that’s why it’s doubly important to find (or create) things that will bring a smile to someone’s face! 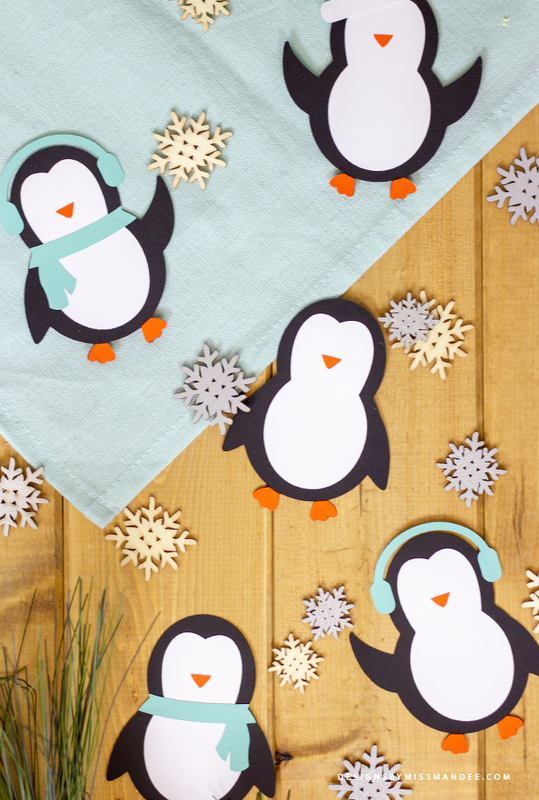 Whether you’re a winter weather downer, like me, or you’re pumped to hit the slopes, you’ll love these charming, die cut penguins! When it comes to cute, versatile die cut designs, I just can’t stay away from adorable animals. Foxes, owls, squirrels, and now penguins! I love them all—animals are just too fun to make. 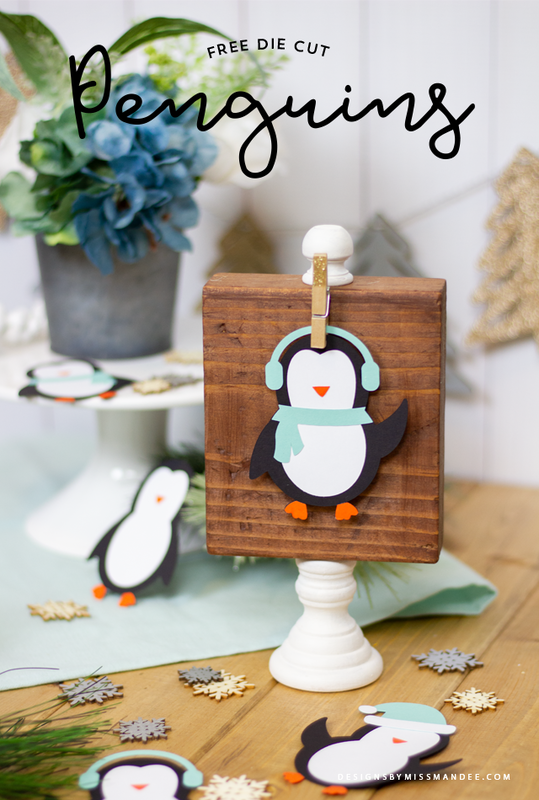 I thought it would add some extra cuteness to include accessories with these perky penguins. So now you can mix and match all you like! I use a Cricut Explore to do my die cut designs, and I absolutely love it! For tips on creating fun paper cuts like this one, see the FAQ section on my website. Also, be sure to check out some other awesome Christmas freebies available on my blog! 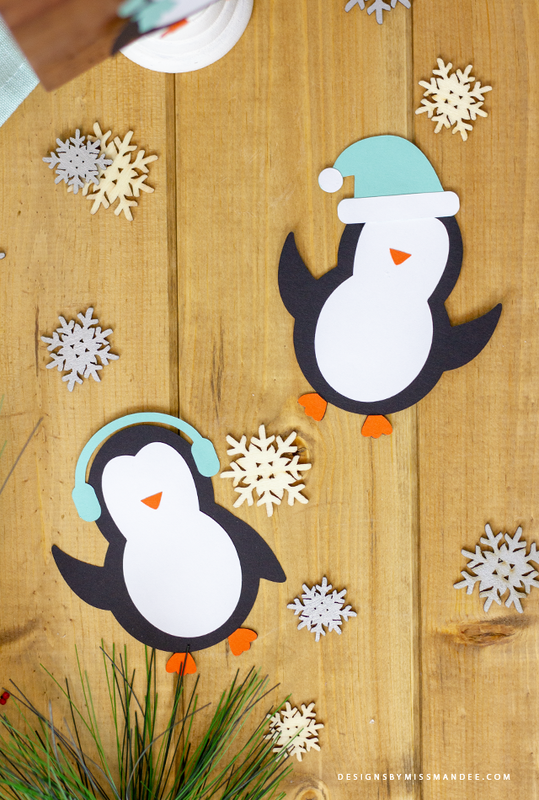 These die cut cuties would be perfect as part of a holiday card design! Or you could use the design to create something awesome out of iron-on vinyl. 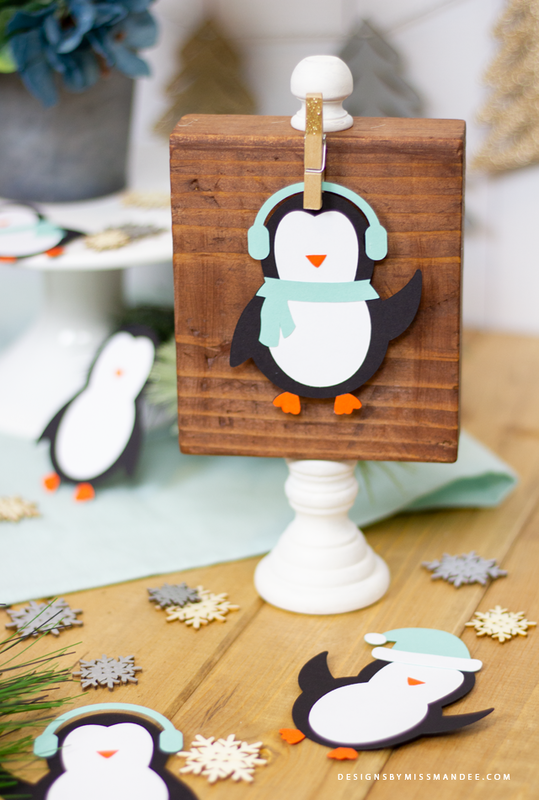 Enjoy using my die cut penguins as part of your next crafty winter project! What kind of holiday designs do you hope to see me do next? These are sooo cute! Thank you! I’m going to RECOMMEND SOMETHING for your business building: Start naming your files as “miss mandees diecut penguins”. This will serve a dual purpose; it will keep people mindful of you as they run across your files and it will help the person downloading to know how to organize that file. You really do some great work – I appreciate the lovely files you post! Ils sont trop mignons, merci Mandy !